Precise markings in 1/4" increments. Opens wide & lays flat for easy use. 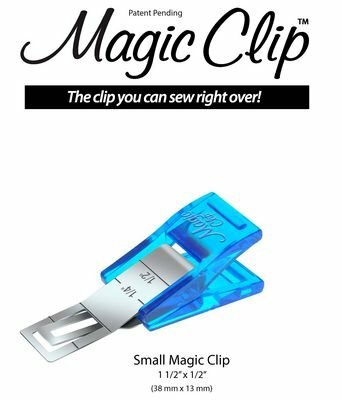 No need to remove clip when sewing. Made with surgical grade stainless steel. Small clip. 12 clips per card.